Problem: Costly oil bills during the heating season, and heavy window units during the cooling season. 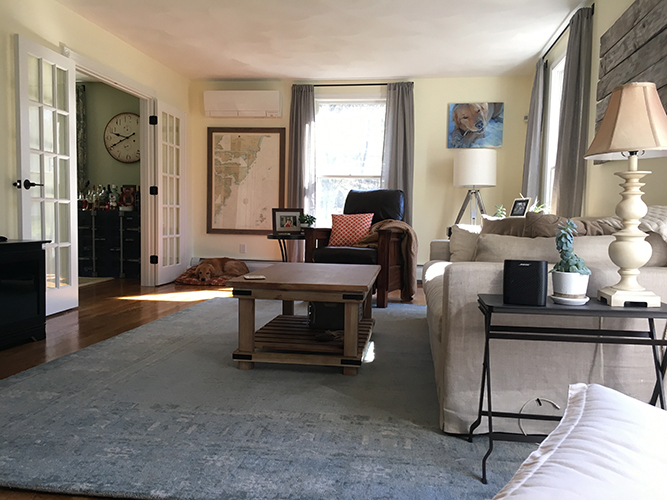 Solution: Multi-head hyper-heating system provides heating and cooling to the most important spaces for these homeowners. 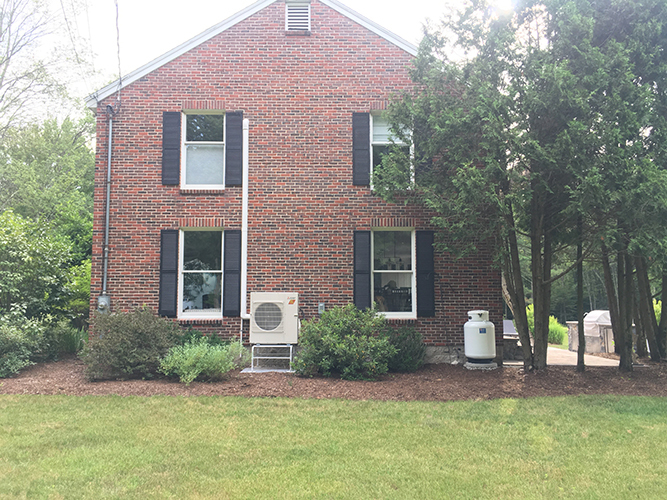 This brick colonial farm house in Exeter, NH suffered from high oil heating bills in the winter. 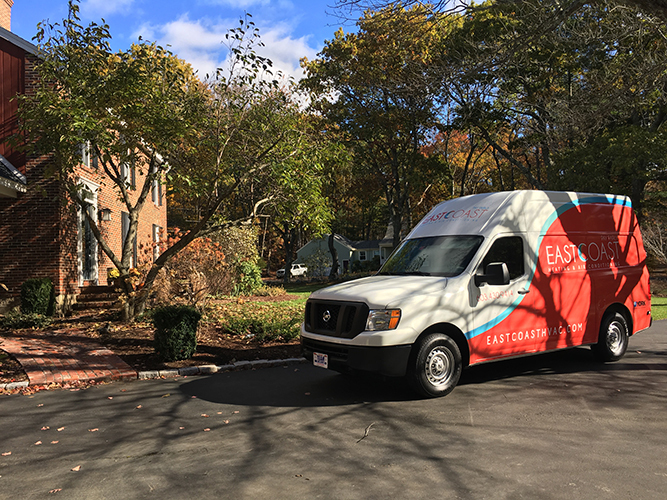 The homeowners decided on a multi-zone hyperheat system from Mitsubishi Electric, to supplement the oil fired boiler that heats the home. Hyper heat systems are capable of efficiently producing heat, even when the outdoor temperatures approach -13F! 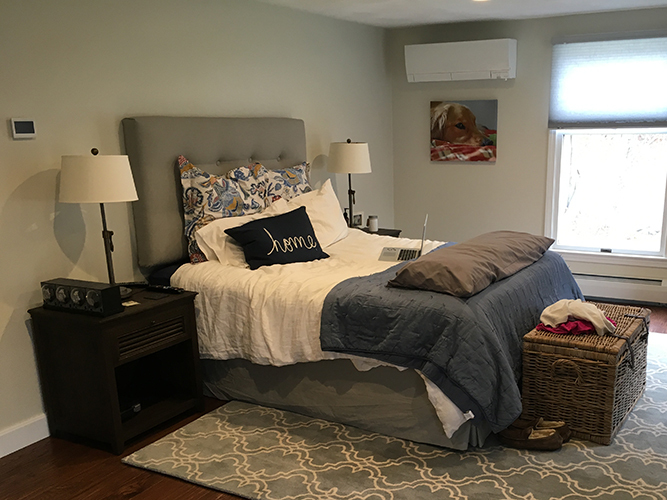 One indoor unit takes care of heating and cooling the whole first level, and a second head on the upper floor services the master suite. This customer also qualified for an NH Saves rebate of $1,000!